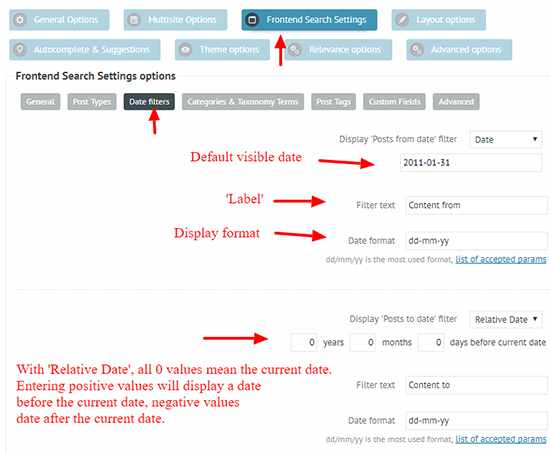 These options will allow filtering posts, pages (or any CPT) by publication date. Either of the options can be Disabled or set to a Date or to a Relative Date. When using the Date, the exact date must be specified to the selector. With the Relative Date, you can use a more dynamic value - such as the current date by default, as it defines a date before the current date. Positive values are subtracted from the current date, negative values are added to the current date.